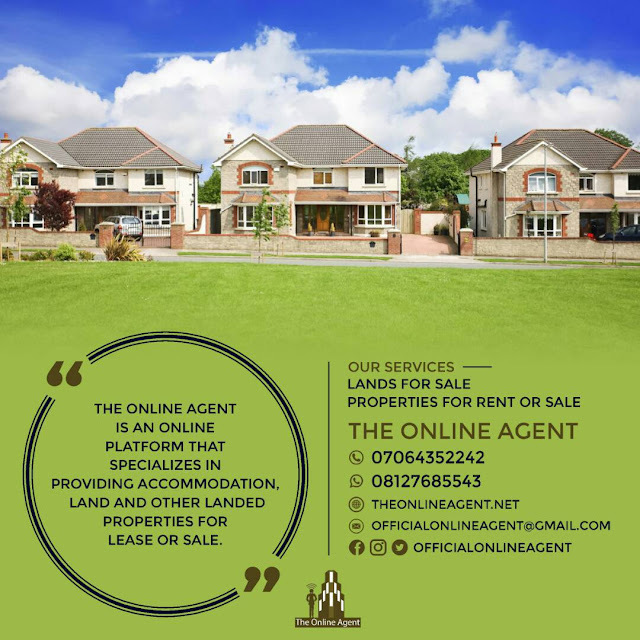 Are You in Dire Need of Accommodation, Land and Other Landed Properties? 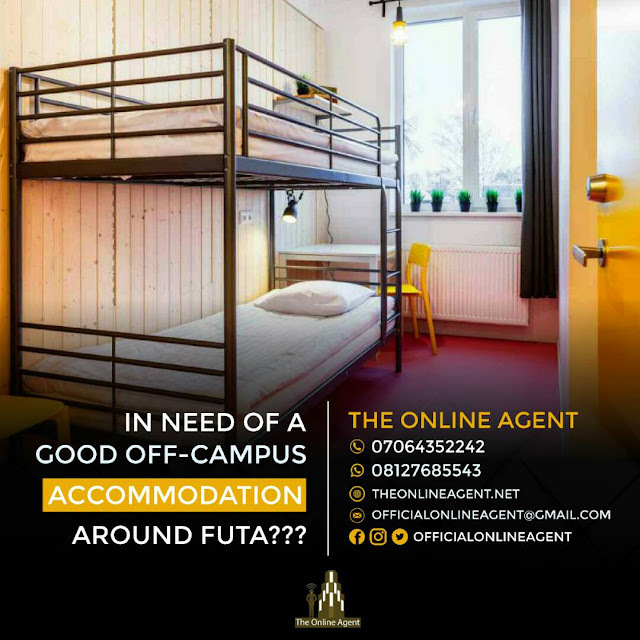 The Online Agent is an online platform that specializes in providing accommodation for students all around off-campuses in Nigerian universities, especially in FUTA (federal university of technology akure). It is also a platform that makes available land and other landed properties for sale or lease all around Nigeria, especially in states like Ondo-akure, lagos and Abuja.